The goal, of course, is to improve on last year's 76-21 mark. And it starts with 12 games this weekend. Football forecasts are worth the paper on which they’re printed. (Or in the case of digital media, even less.) 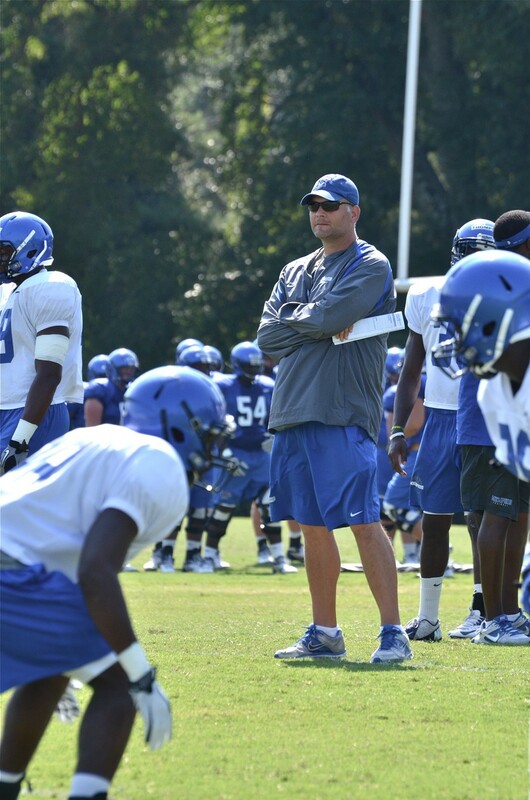 So I’m not going to predict how well or poorly Justin Fuente’s first year as Memphis Tiger coach might go. (Three wins would mean progress. Five would be worthy of a dance party.) Instead, I’d like to offer three wishes for the 2012 Tigers, with consideration to the program’s history and an eye toward its future. 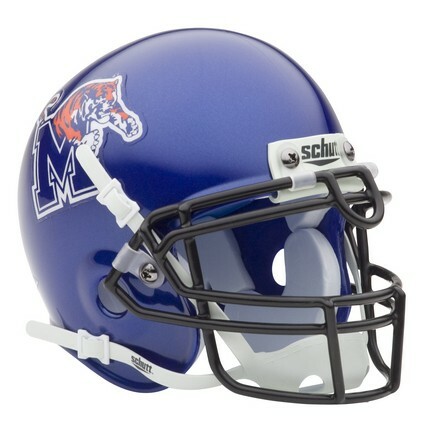 If Memphis fans want to call themselves “Tiger Nation,” this is actually a small number. Whenever or however the U of M football program builds lasting momentum, it will start with an expanded — and permanent — fan base. Last year, an announced crowd of 33,990 showed up for the home opener against Mississippi State, too many of them adorned in maroon and white. It was the only Tiger home game for which announced attendance exceeded 20,000. In a stadium that will seat 60,000. But wait, you say, it’s not Mississippi State or Ole Miss in town this Saturday. The Tigers are opening against UT-Martin! And this is precisely the point. Attendance at the Liberty Bowl must become a given, regardless of the opponent. And that crowd needs to be there for the home team. (If an opposing team — from the SEC or the Ohio Valley Conference — is able to draw a traveling crowd, all the better. This should not, however, be the primary variable at the gate.) For the first time in 64 years, Memphis will not play an SEC team, at home or on the road. The biggest games on the home schedule are UCF (October 20) and Southern Miss (November 24). Here’s hoping a new coach might spawn a movement in the right direction for a so-called “sleeping giant” of a fan base. It’s been five years since the Tigers have suited up a signal-caller fans could consider The Guy. Since Martin Hankins tossed his last spiral in 2007, Memphis has started nine young men behind center. You remember Taylor Reed last year, and maybe Ryan Williams from the year before. How about Brett Toney? Arkelon Hall? Tyler Bass? No team sport relies more on a single position than a football team does its quarterback. Games can be won, now and then, with a pretender in charge of the huddle, but this requires so many other positions and schemes to go right, the law of averages tends to expose the weakness. Coach Justin Fuente lured Karam to Memphis from Texas Tech by assuring the kid he’ll play and make an impact on a program that desperately needs impact from its quarterback. We know Karam is smart (undergrad degree already in hand). We know he has leadership skills (one of ten players on the team’s leadership council). Here’s hoping he has the tools and toughness to succeed where the nine most recent Tigers have failed. If there’s one position the Tiger program can be said to have a rich tradition in grooming, it would be defensive back. Keith Simpson, Ken Irvin, Jerome Woods, Mike McKenzie, Michael Stone, and Reggie Howard all dropped into coverage for the U of M before cashing their first NFL paycheck. But it’s been seven long years since the Tigers have fielded an All-CUSA player in their secondary (Wesley Smith). Last season, with one breakdown after another, the soft secondary stood out on a team with several weaknesses. They didn’t tackle well. They lacked the speed to close on a receiver (or running back, for that matter). If the secondary improves this fall, if long plays are minimized, games will be more competitive. Opponents will be forced to gain first downs the old-fashioned way. The more plays a team is forced to make (meaning the fewer long-distance connections), the more chances the Tiger defense has to force turnovers, the single most game-shifting element in football. It’s telling that four of the ten players on Fuente’s leadership council are defensive backs: seniors Akeem Davis and Cannon Smith, and sophomores Bakari Hollier and Bobby McCain. Might one of these players become a difference-maker? Here’s hoping someone — anyone — makes the Memphis secondary a scary place to venture. Then it’s up to the big guys up front. Over the last four years (2008-11), nine different players have started at quarterback for the Tigers. Name them. All of them. Remember when Danny Wimprine was taking snaps for the Tigers, leading Memphis in passing four straight years? Yep, 2004 seems like a long time ago. The Tiger football team will play its 17th and final season as a member of Conference USA this fall. 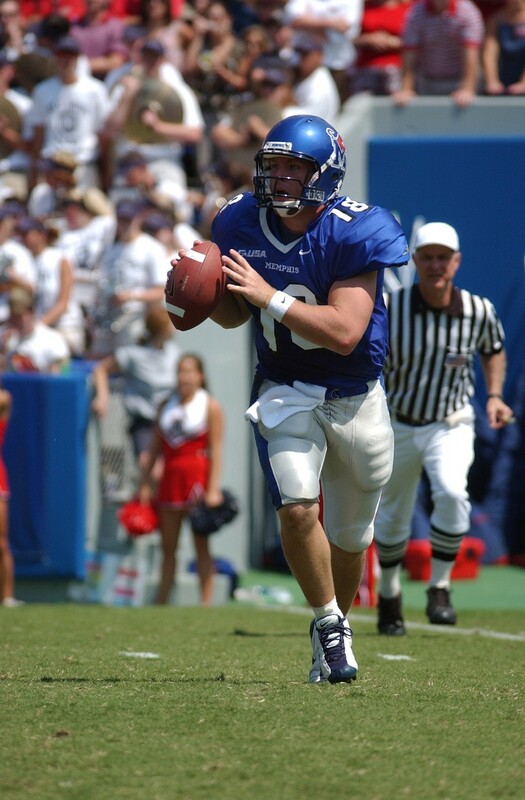 There are three other programs — currently in C-USA — that were football-playing members of the league for the inaugural season of 1996. Who are those teams, and what is the Tigers' record against each in C-USA play? With 25 wins in the 2012-13 season, Josh Pastner would reach the 100-win plateau as coach of the Tiger basketball team. How many coaches have won 100 games for Memphis?